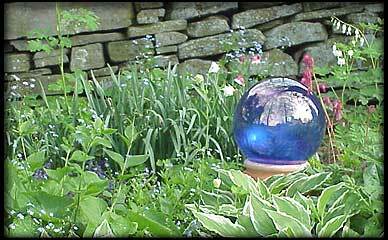 The Mountain View Garden Club invites you to a Plant Exchange & Sale from 1:00 – 4:00 on Sunday, June 5, 2005 at the home of Vicki Lewandowski, near Lake Idlewild, West Clifford. The location is just off Rt. 374 (approximately 2 1/2 miles northeast of Rt. 106 or 2 miles southeast of Elk Mountain). Balloons and signs will mark the way. You’re invited to bring 2 plants from your garden to exchange for two of a different kind. Please pot up your plants a few days prior and keep well watered. Everyone is welcome, even if you don’t have plants to exchange, please come! The Garden Club will have plants from local gardens and tee shirts for sale. There will also be information about membership, upcoming events, trips, and community projects. Refreshments will be served. You are welcome to take your time and tour the gardens. Please consider becoming a member of the Mountain View Garden Club. Dues are $25. annually and will support the Garden Club’s activities and projects. The mission of the Garden Club is to share our knowledge and love of gardening while beautifying the Elk Mountain community.